There may not be an officially sanctioned API on Android Wear quite yet, but that’s not stopping enterprising developers from making watch faces anyway. A few of these developers have chosen to release watch faces as individual apps on Google Play, but others have gone the “bundle” route, packaging a large number of watch faces into a single app. In terms of sheer selection, few come close to Wear Face Collection. 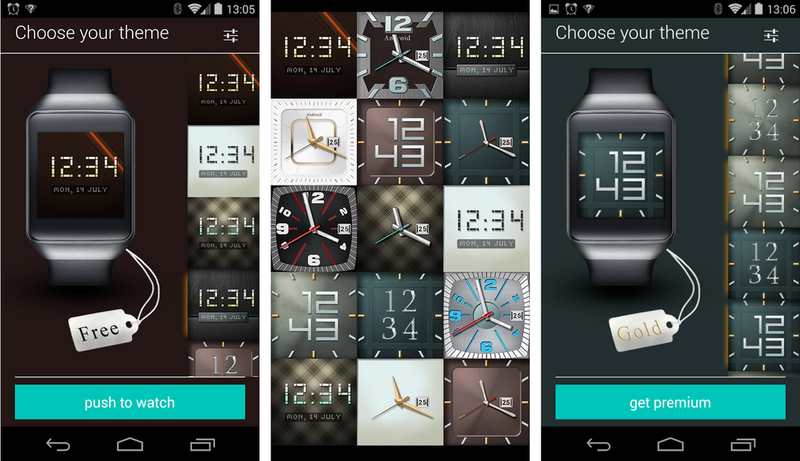 As you might expect, Wear Face Collection is a storefront for watch faces. Officially supported devices include the Gear Live, G Watch, and Moto 360, although the app currently lacks circular watch faces. Circular faces will likely be released when the Moto 360 is available. While I wouldn’t go so far as to call Wear Face Collection indispensable, as I’m partial to a few other watch faces on Google Play, it’s a great starting point for new Wear device owners. Many of the free styles are not half bad (the rest are locked behind in-app purchases), and the collection is constantly growing. It’s at the very least worth a test drive on your Android Wear device.